If you want to customize a new box for your food, choosing the new tube food packaging boxes is the right choice. 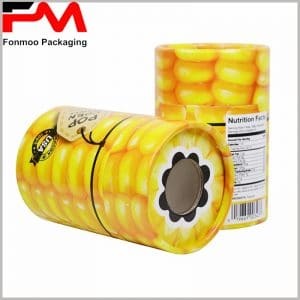 For many cardboard cylinder packaging, you can choose a universal product packaging, but also through the form of stickers, you can turn the packaging into a specific product packaging, to give a special product packaging publicity. Or wrap the round boxes without any motifs and shapes, use heart-shaped stickers, and stick lovely bears in the cylinder tops to become Chocolate gift boxes. As a professional manufacturer of tube boxes, we offer you a wide range of top quality tube food boxes with a wholesale price of 30% lower than standard wholesale prices. Our minimum order quantity is 500, with each additional 1000 custom units, you get even more discounts and get free samples of your product packaging.